Dinosaurs!! Who are Communist for some reason!! Showing solidarity with the exploited dinosaur workers everywhere! 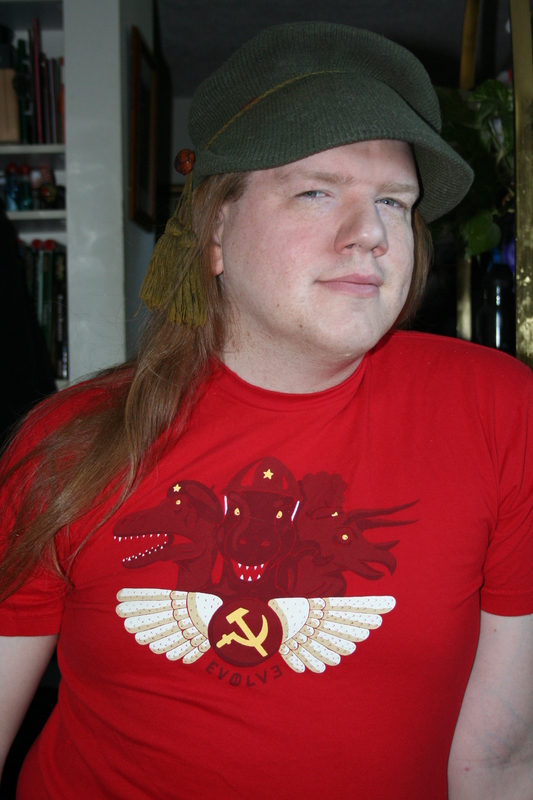 The shirt is colored Tyrannosaurus Red. I could link, once again, to the Complete History Of The Soviet Union, Arranged To The Melody Of Tetris. But that might overdoing it, so I won’t. This shirt is 3 of 4 in Dino-weekend. Whee!! The definition of “weekend” may vary from an actual weekend.